Taking a class in street dance – one of the fastest growing and changing contemporary dance forms – can be daunting to a first-time or less experienced dancer. Street dance classes come in a variety of levels and styles and might seem foreign or intimidating to someone who has only ever encountered other more traditional kinds of dance. Luckily, the spirit of street dancing lies in its versatility and accessibility. In fact, these are the qualities that have helped it gain such widespread popularity and an ever-rising status within the dance world. The most important thing to remember is that joining a class should be fun and exciting. With a bit of knowledge going in, it’s easy to find the class that will suit you best. 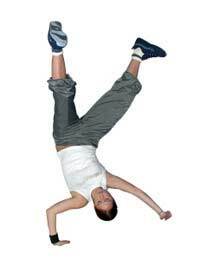 The first thing for street dance beginners to keep in mind is that street dance is derived from social dance. Beginning as part of the hip hop movement, it has taken on new and unique twists alongside the development of urban social dances. This means that its use of technique is far less stringent than in other kinds of dance and it relies more upon an individual style and rhythm. There is a looseness to all skilled street dancers which allows them to channel the nuances of the music directly through their bodies. Whether you’re interested in breaking, krumping, or video dance, the more relaxed you are, the easier it will be to adopt the range of movements required in street dance. When it comes to choosing a particular class, know what is available to you. There are a wealth of different styles of dance that fall under the ‘street dance’ genre. These include breaking, popping, locking, krumping, clowning, general ‘hip hop’, street jazz, video dance, and countless others. If you are researching classes at a studio, check their website. There you will be able to see what kinds of classes are offered and probably also view a description of each class. This can be especially useful since different studios have different names for street dance styles. Additionally, instructors oftentimes brand their own hybrid blend of hip hop dances. If your studio doesn’t have a website, make a phone call or visit an instructor. The best way to find out whether or not you’ve found the street class you’ve been looking for is to ask questions or observe the class in session. Once you’ve selected a class, you’ll get the most out of your street class if you pay close attention to two things: your instructor and the beat of the music. With these as your guides, you can hardly go wrong. But if ever you feel discouraged, staying positive is key. Street dance is a set of steps, attitudes, and gestures unto itself. Because it makes different demands upon the body than classical jazz or ballet, it sometimes takes several classes for dancers to become used to the dynamics of this new dance form. Equally, non-dancers in a street dance class will be drawing upon a social dance movement vocabulary and this will be challenged by the technical demands of street routines. All newcomers, therefore, need to exhibit patience and persistence. You might find yourself feeling awkward or confused. But failing to give up means that you will have progressed by the end of each and every class. And as street dance can be one of the most fun and rewarding dance forms, you’ll probably find that your mood is as high as your energy. i do not mind where you can street dance and i want to lear all of the moves there is babe.